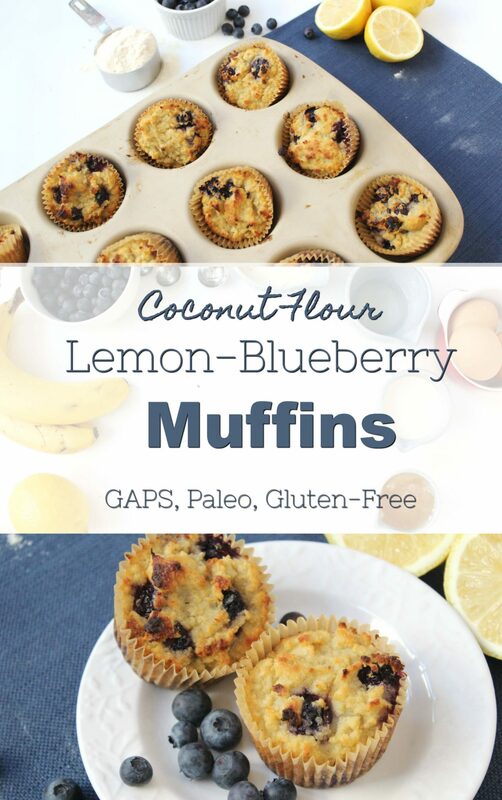 Coconut Flour Banana Blueberry Muffins are such a friendly little breakfast bread to wake up to. This recipe uses a little lemon and a little vanilla to complement the blueberry’s tart-sweet flavor, and coconut flour as the grain-free, gluten-free flour. They are delicious right out of the oven, or packed in lunches or served alongside soup later in the day. 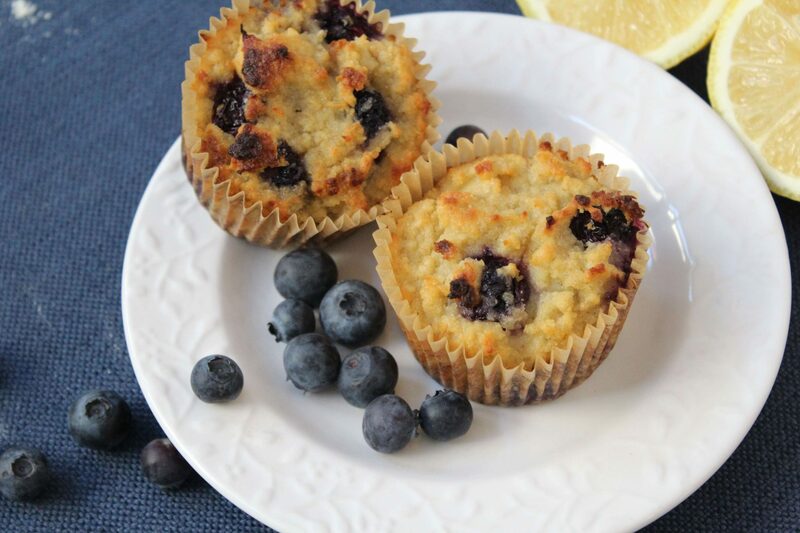 Coconut flour muffins can be dry and bland, but the addition of bananas, lemon, and blueberries make these muffins exciting and flavorful with a great texture. 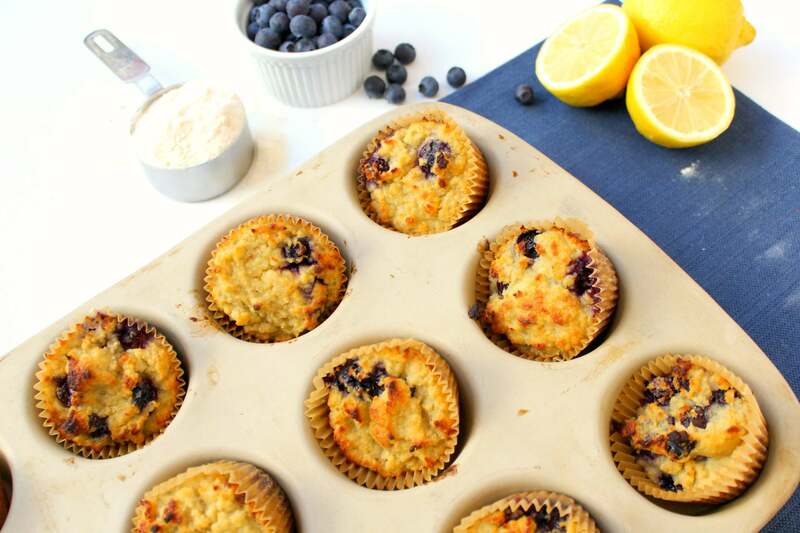 Delicious coconut flour muffins studded with blueberries and flavored with lemon and vanilla. Line muffin pan with parchment muffin liners. Dot muffin liners with the one tablespoon of coconut oil, and allow coconut oil to melt in the oven. In a stand mixer, bowl, or food processor mash or puree the bananas and combine them with the eggs, remaining coconut oil, yogurt or coconut milk, coconut flour, lemon juice, vanilla, and sea salt. After the mixture is smooth, add in the baking soda and mix again. At the very end, mix in blueberries by hand. Fill prepared muffin tin with batter, filling 3/4 full. Bake for 35 minutes or until a knife inserted in the middle of the largest muffin comes out clean. Do you have any idea what the calorie count for these muffins would be. Hi cara.. Thank you for the delicious blueberry muffin recipe. Can’t wait to start baking them. The only thing that bothers me is the honey. I believe you probably know that honey is never to be used for cooking purposes as it’s chemical structure changes to a toxic state and therefore leaves our digestive system more in trouble then if it already is in. I have been diagnosed with colitis and follow gaps diet to the T. I have poured myself endlessly on the internet looking for what works and what doesn’t.. As far as honey is concerned the ayurvedic systems and the traditional aboriginal systems all tell about not heating honey. It can be used in warm or lukewarm ways. Please don’t take my words for this…I am sure you gave looked this up or will look it up. With no offense or meanness to put a dent in your amazing recipes Cara..I just wanted to share this information about honey. Thank you for reading this. Try using Agave nectar or coconut sugar. The glycemic index is low, so your sugar level will remain stable. Thank you sharing this. I have a son with Crohn’s Disease, and I have been cooking with honey and maple syrup. I’m going to avoid that now. Is there an egg-replacement version of this ? Thanks so much ! Would you share the calories and other nutritional details about this muffin? Thank you. I’m sure they will be sweet without so I’m not worried. 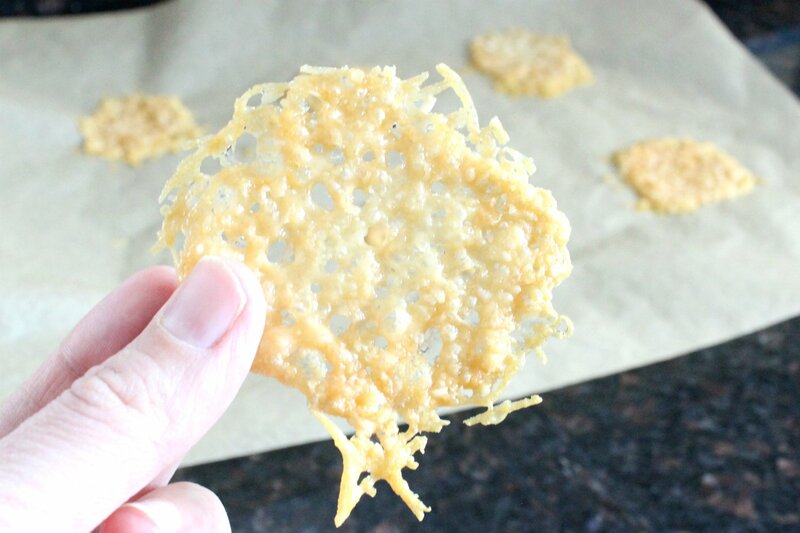 Thank you so ,such for posting this delicious sounding recipe!